The new Landis+Gyr E35C series s enables management of all utilities consumption via a single communication connection. An integrated M-Bus interface provides a simple means of connecting multi-energy meters. This makes multi-energy applications an affordable proposition for domestic use. The new series of modules for domestic use provides communications flexibility and additional functionality such as enhanced security and new services in personal energy management. Additional improvements relate to network quality, remote load switching and the recording of access attempts. Lower communication costs The E35C module turns an electricity meter into a data center, connecting up to four water or gas/water meters with the M-Bus and managing two-way communication. Reducing communication connections for all meters to just one not only saves on transfer costs but also simplifies subsequent data-processing. The M-Bus supports the connection of meters from different manufacturers. For widely scattered measurement points an RF M-Bus dongle allows you to connect additional meters wirelessly, thus saving on the expensive installation of cable connections. 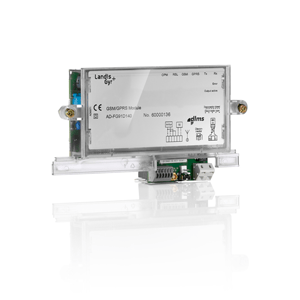 The Landis+Gyr E35C Control Module (AD-FX1) for the E350 meter enables tariff switching (NT/HT) in E350 meters via external control inputs. For more information, contact your local sales office.